Luxurious and romantic mountain house in the Dolomites close to the ski slopes of one of the most beautiful Italian ski areas, that of Folgarida, Madonna di Campiglio and Marilleva which includes over 150 km of perfectly connected slopes. Even during the summer season the strategic position between the valleys of Sole and Rendena, rich in tourist events, allows you to experience the mountains whether you are looking for relaxation or a holiday full of adventure. The valley, chosen each year by famous football teams as a destination for summer training, offers canoeing, rafting, green cycle paths, tarzaning and climbing, but also relaxing food and wine tours and spas ideal for a wellness holiday. The spacious, elegant and comfortable house consists of 2 double bedrooms, a bedroom with 2 single beds and a bedroom with a double bed and an additional single bed for a total of 9 beds. It is also equipped with a nice and sunny outdoor garden. Large garage with ping-pong table. Very suitable for 2 families, pets are not allowed. The residence is equipped with: FREE WIFI INTERNET, satellite TV, Sky decoder present and can be used with your card. The linen (sheets, towels, kitchen towel) is optional and available on request. Location fantastico casa enorme e pulita! 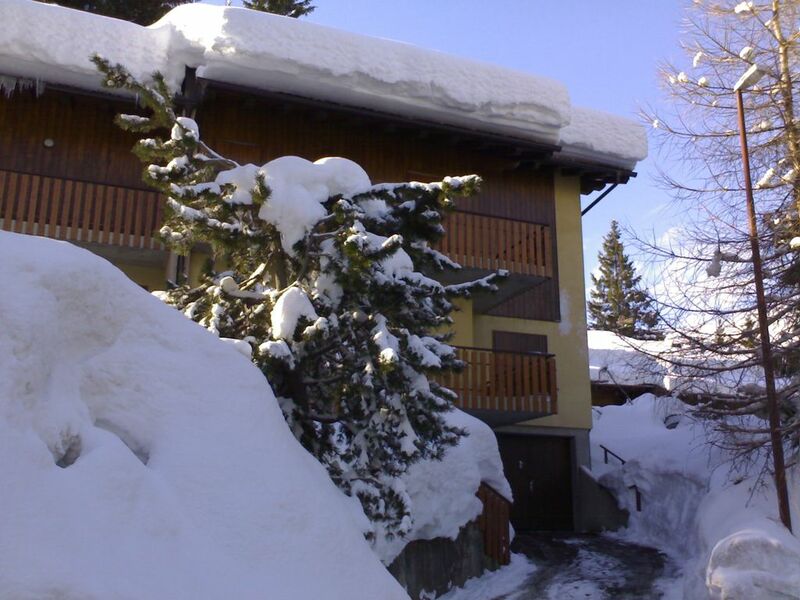 We've stayed at Eugenio's house for a skiing holiday - the location is great - its almost ski in-ski out, you only need to walk about 100 m to the slope. The house is spacious with everything you might ever need and also spotlessly clean. Eugenio was super helpful and we've had a very enjoyable stay there! Thank you so much for everything and we hope to be back some time! Dear Yana, thank you so much for your feedback. I hope you had a nice stay and I would be very happy to welcome you again in my house. Abbiamo trascorso una settimana fantastica! Abbiamo davvero apprezzato l'appartamento! Grande sala camino spaziosa. Vicinissimo agli impianti di risalita! Mi è piaciuto che la casa abbia mobili antichi. L'appartamento ha quattro stanze. Due di loro sono piccoli e più adatti ai bambini. Gli adulti in essi saranno stretti. Consiglio di visitare una grande compagnia divertente! Vi boede en uge i Eugenios skønne hus i februar måned. Det egner sig perfekt til to familier på ski. 100 meter til pisten. Masser af plads med varmerum, kælder og hyggelige opholdsrum. Kommunikationen med Eugenio og hans søn var betryggende og nem. En stor anbefaling her fra. Casa bella accogliente calda ,ottima posizione per gli impianti sciistici. Cucina piccola pentolame padelle scarse per accogliere 9 persone. Grazie per le belle parole, amiamo molto questa casa e siamo felici di accogliere persone che la possano apprezzare. Grazie anche per il suggerimento; provvederemo a migliorare la dotazione di pentole. Saremo felici di ospitarvi ancora in futuro.